German Pork Roast Recipe. Always a delicious main dish to share with family and friends. 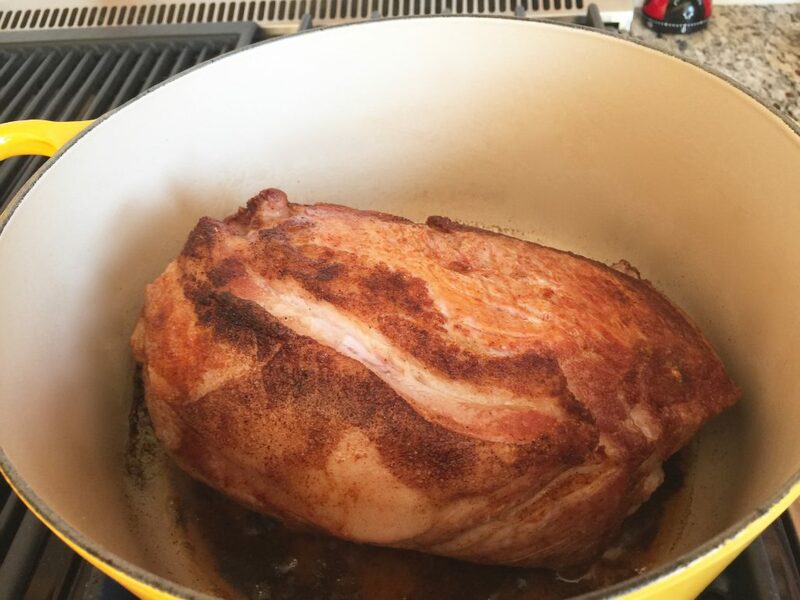 The German Pork Roast Recipe is easy to prepare following these step-by-step instructions. A Pork Roast is called Schweinebraten in Germany. Wash the roast under running water and dry it with a kitchen paper towel. 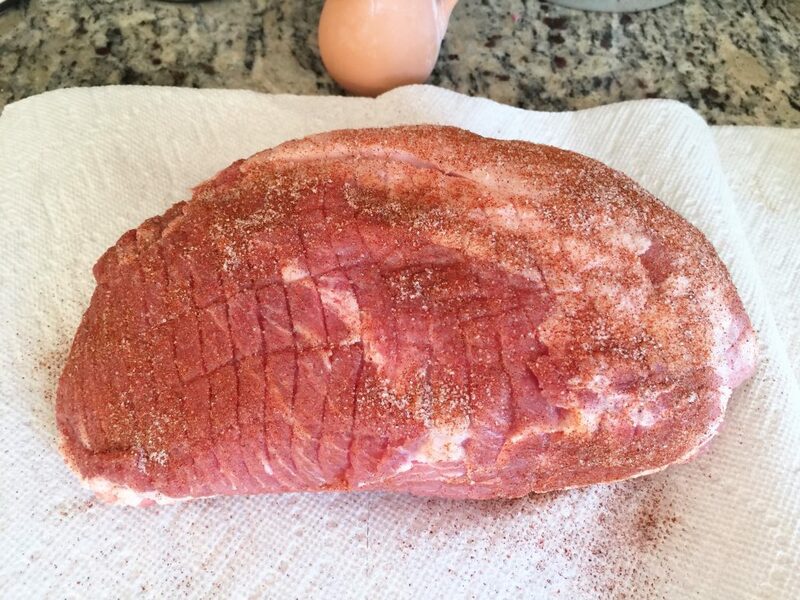 Mix salt, pepper, and paprika together and then rub it evenly onto the roast. Make zigzag type cuts into the fat of the roast—careful, not too deep. Melt shortening on medium high heat in a roasting pan. Sear roast in the shortening while turning it over and around until all sides are nice and brown. Remove the roast from the pan and place it on a plate. 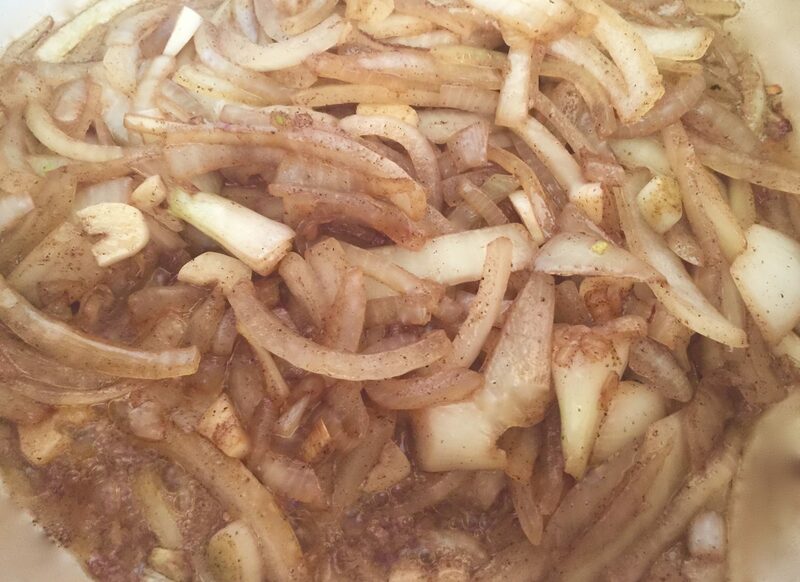 Cut the onions in quarters and then in slices. Then cut the garlic cloves. Place them in the pan and fry until light brown. Fill up the roasting pan with water and put the pork roast back in. Add the cloves and simmer for about 1 ½ – 2 hours over medium heat. Make sure you check on the roast from time to time to replace the evaporated water. When time is up, remove the roast from the pan and let it rest before cutting. Pour the liquid through a sieve and make sure also push the onions and garlic through the sieve with a wooden spoon, or use a food mill. There should be about 1½ l — 1.58 qt of sauce. If necessary, add some water. Place the sauce back on the stove top and bring it to a boil. Turn the heat down and add the lemon juice and spices to your personal liking. Then, dissolve 4-5 tablespoons of cornstarch in 4 tablespoons of water. Add the starch to the gravy for thickening. Turn the heat off and add the sour cream. Stir with a whisk in a circular motion, from the outside towards the center, until the sour cream is dissolved. Slice the Roast which has now cooled down and place it on a plate. Pour some gravy over the fresh-cut slices. You can serve the Pork Roast with Oma’s homemade Mashed Potatoes and Sauerkraut. This German Pork Roast Recipe serves about 6-8 people. To try Oma’s Sauerbraten click here. https://www.theomaway.com/wp-content/uploads/2016/07/pork-roast.jpg 1371 3264 Oma https://www.theomaway.com/wp-content/uploads/2017/02/Oma-Logo-Authentic-German-Recipes.png Oma2016-07-25 02:08:082018-10-19 06:53:50German Pork Roast Recipe. Always a delicious main dish to share with family and friends.